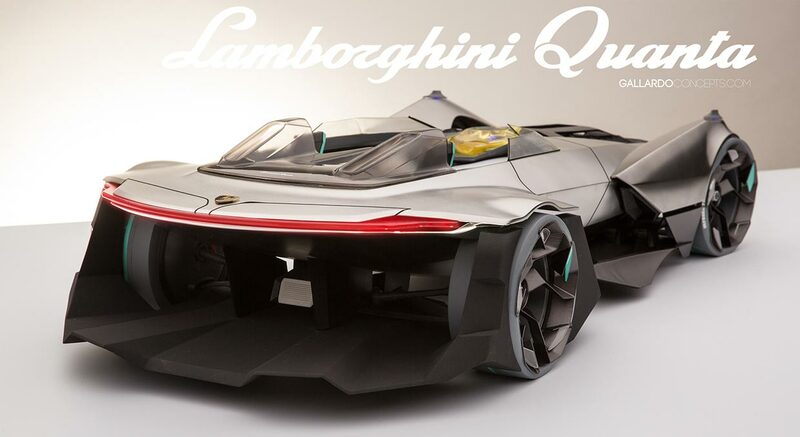 The Lamborghini Quanta is a bonkers concept car even by Lamborghini's standards. 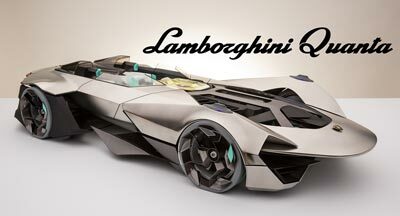 Although many may see it as an appropriate reaction by one designer to Lamborghini's increasingly less adventurous designs in recent years. 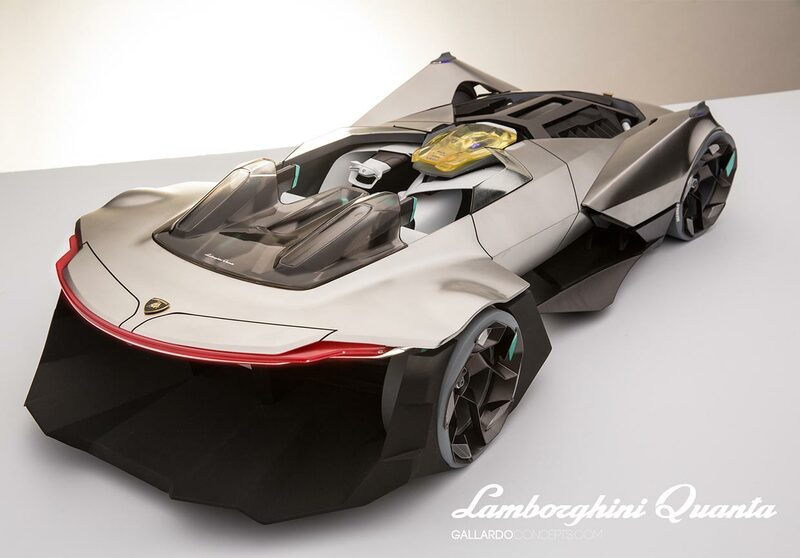 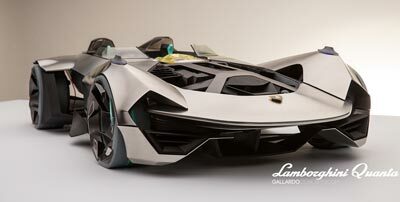 The Lamborghini Quanta was developed independently of Lamborghini by Californian, and Art Center College of Design graduate, Bruno Gallardo. 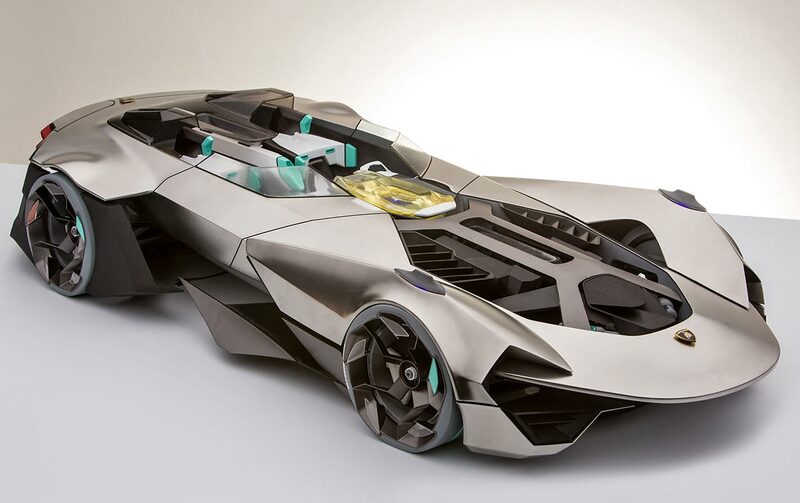 His radical concept is designed to be a high-tech sports car of the future, which is so packed with electronic driver aids and gadgets it makes a Nissan GT-R look like a back-to-basics, old-school sports car. 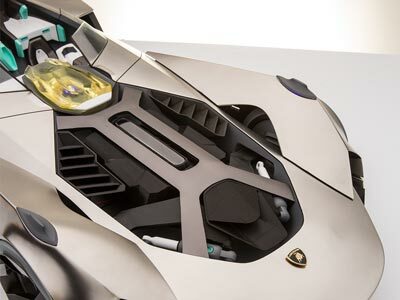 The Lamborghini Quanta features a stereoscopic LIDAR system, dual forward facing cameras and a central hub (that yellow thing in the middle) which acts as a central processor which is capable of driving the car autonomously, or just helping the driver to get maximum performance out of the car while keeping it shiny side up. The interior of the concept features two separate "cocoons" for the driver and passenger. 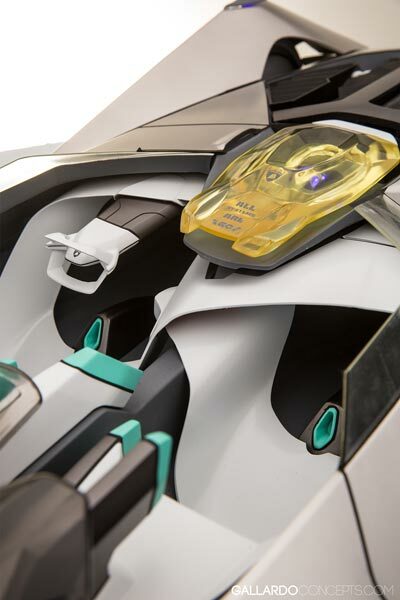 The conventional steering wheel has been replaced with a minimalist yoke-style unit which folds away during autonomous driving or when the vehicle is switched off. 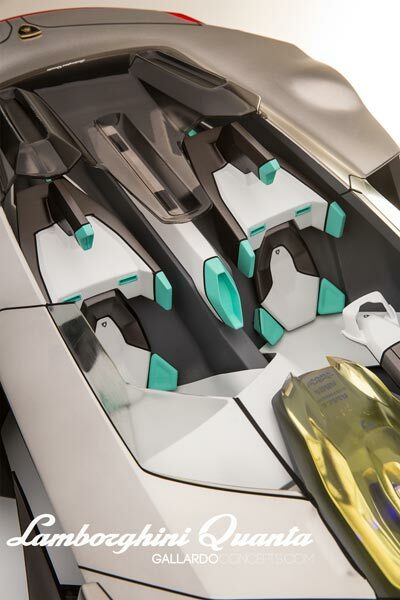 In fitting with the rest of the car the instrument panel has been replaced with a digital display with different levels of information being displayed on both the central hub and on a small screen behind the steering wheel. Powering the Lamborghini Quanta is a hybrid drivetrain which sees a traditional V12 matched with electric motors to provide the familiar AWD layout common to the majority of Lamborghini models. 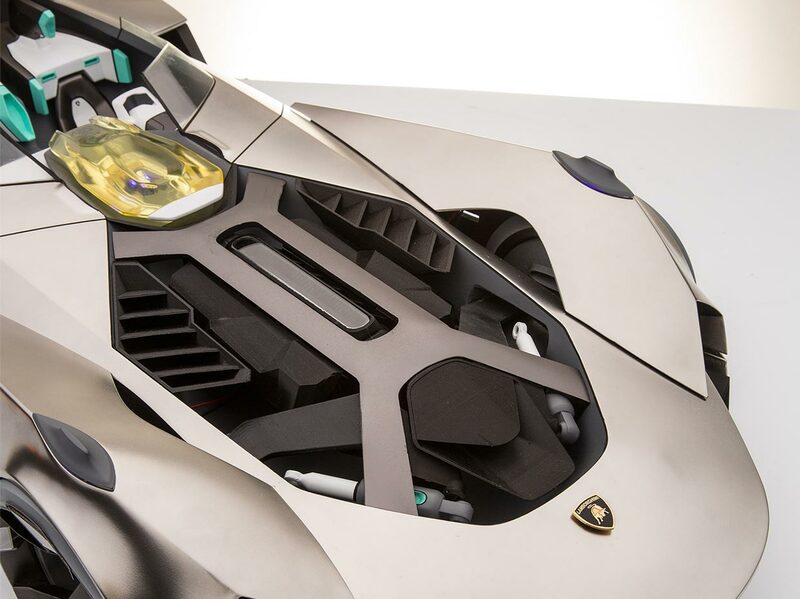 The overall power output hasn't been specifically mentioned. But in keeping with Lamborghini's current tradition of providing the horsepower figure in the full title of the vehicle (along with whether it's 2 or 4 wheel drive) the full name of the car is the Lamborghini Quanta LP 1000-4.